The Academic Staff Union of Universities (ASUU) has made fresh demands from the Federal Government, dashing the hopes of many students that academic activities will resume soon. When ASUU’s leadership met with Chris Ngige, the Minister of Labour and Employment on Tuesday, he said the labour dispute with the university teachers was on the verge of being resolved. According to Ngige, the office of the Accountant-General of the Federation and the Ministry of Finance presented evidence that N15.4billion had been released to public universities. On earned academic allowances, he said President Muhammadu Buhari approved N20billion to offset arrears of the 2009 to 2012 verified earnings by university teachers. However, speaking with Premium Times on Saturday, ASUU president Biodun Ogunyemi, said upon reviewing the offers made by the government, members of the union across various campuses and zones rejected it. “Our members have rejected tokenism with respect to outstanding revitalization fund of N1.1 trillion. They are insisting that government should release at least one tranche of N220 billion spread over four quarters of 2019. “The revitalization fund and earned academic allowances are the two critical areas on which our members feel strongly about. They expect necessary adjustments on the part of government before they can reconsider their decision on the ongoing strike action,” Ogunyemi said. 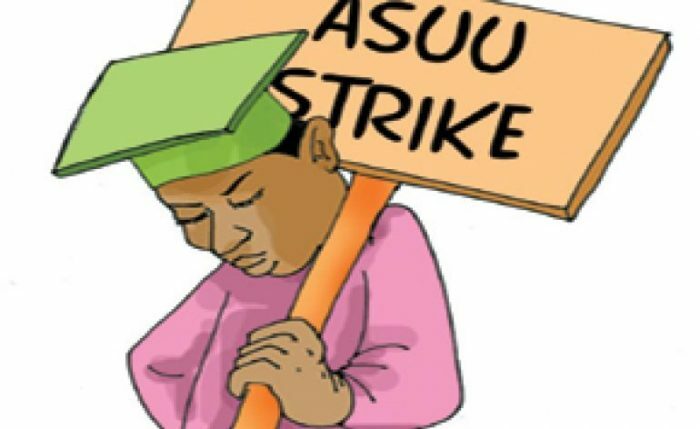 The post ASUU Strike Set To Continue As Lecturers Reject Offers From FG appeared first on Naijaloaded | Nigeria's Most Visited Music & Entertainment Website.